Our Shawnee location is at 12260 Shawnee Mission Parkway, Shawnee, KS 66210. Our Shawnee center is located about 1.3 miles west of 1-35 and is located on the north side of Shawnee Mission Parkway in the 10 Quivira Plaza Shopping Center. Our clients come from Lenexa, Kansas City(KS), Prairie Village, and of course Shawnee. 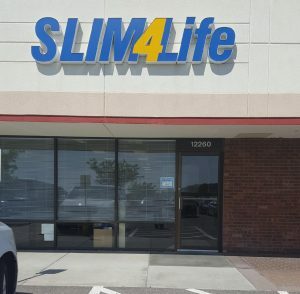 The manager at Shawnee was a client before coming to work for Slim4Life, and her message to everyone is ‘This program works!’ Her staff’s goal is excellent service equals excellent results. Our results are our business. Striving for excellence is their motto. If you want excellent service, quick weight loss results and live in the Shawnee area, call and get started living a slim life! Make an appointment at our Shawnee weight loss center today!